The Gassies-Gautey vineyards are family work several generations of wine growers, producers of marvellous Bordeaux and pioneers among so much of others of this soil of l 'Entre-Deux-Mers whose world reputation is universally recognized. Situated to 8 kilometers of Saint-Emilion, the vineyard spreads out on the left bank of the Dordogne, distributed in zone of argilo-calcareous hillsides, trays of the same nature and adjoining in river, of a plain on the siliceous ground with in bottom, the veins of grave of the Dordogne which go on in the basement. Thanks to these various countries, provided with a pleiad of mineral, generative salts of delicate aromas, the Château du Masson, nectar of legendary sharpness, is Bordeaux vinifed old-fashioned which requires a lot of surveillance to make the first bottled. Excellent red Bordeaux Château du Masson 2012, fleshy, in the scents of undergrowth and currant, rich and persistent in mouth, fat, in the mature and delicious tannins. Also discover this very beautiful Bordeaux rouge Cuvée Passion 2011 (silver medallist in the Competitions International of the wines of Lyon 2016 and in the International Challenge of the wine 2016), 65 % Merlot, 35 % Cabernet-Sauvignon, of beautiful purple robe, a generous, dense wine, in dominant of small black fruits and musk, which marries elegantly a tannic sharpness to a persistent curvature, wine for ageing. 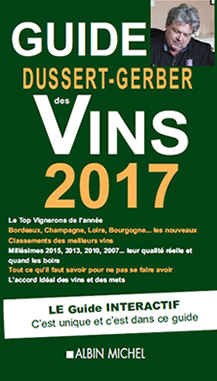 As for L’or Rouge, it is bordeaux supérieur 2011, that results from an assembly of Merlot 50 %, Cabernet Frank 35 % and Malbec 15 %. He possesses a beautiful robe ruby, a nose of fresh fruit and spiced, with a supple attack in mouth, beautiful red berries and good tannins salivants. 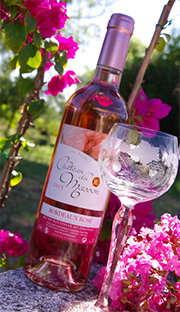 Stemming from the same vineyard, Bordeaux Rosé 2015 «Cuvée Fleur du Mayne» fresh and fruity is incomparable on raw vegetables, delicatessen and for certain customers, on seafoods. Others taste him in apéritif or use it to make cocktails. Do not hesitate to come to visit our site for more information.